Successfully Added MINIX NEO A3 Wireless Air Mouse - Six-Axis Gyroscope + Accelerometer, Advanced Power Management, 10M Range, Built in Mic to your Shopping Cart. 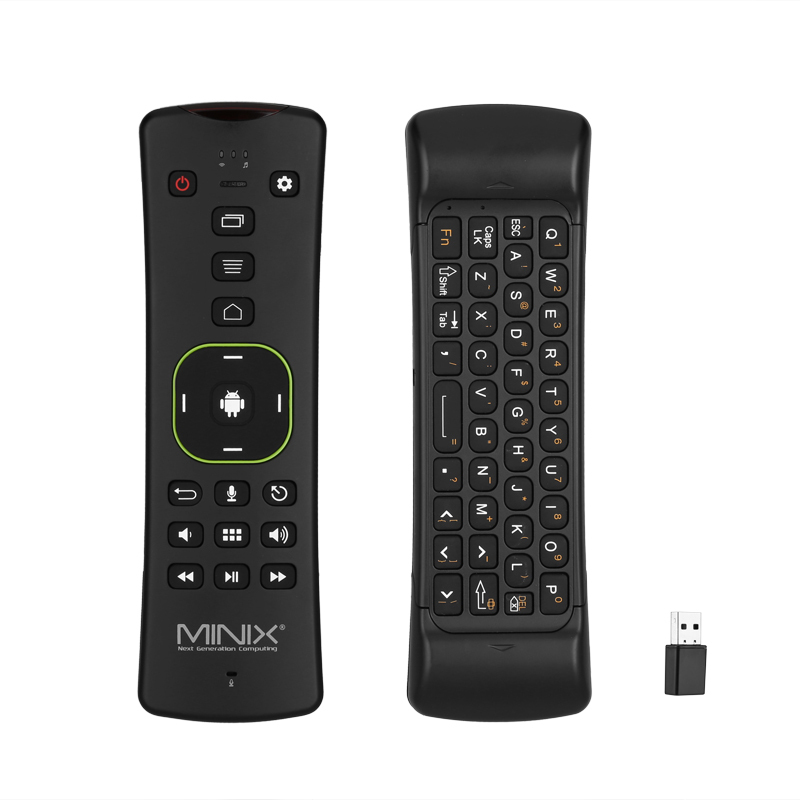 The MINIX NEO A3 Wireless Air Mouse is you all in one easy controller for media hubs and TV boxes. The accurate 6 axis gyroscope and accelerometer provides a level of freedom and mobility that is hard to match. With this an all-in-one air-mouse you will have perfect control of your entertainment, and be able to enjoy the convenience of voice input by using the built-in microphone, providing everything necessary for a great user experience. The comfortable keyboard on the reverse side has a full complement of keys and provides an enjoyable typing experience with its spacious and well-built buttons. So whether you're playing games, surfing the web or chatting over Skype with friends you'll find it a joy to use. Every aspect of the NEO A3 wireless controller is designed to make your entertainment experience easier. Voice input can bring up content or information and dedicated navigation keys put you firmly in command. With multi-OS support for Windows, Mac OS X, Android and Linux you'll find the NEO A3 is the perfect operating partner for media hubs, TV Boxes as well as tablet PCs and desktop computers. Its quick and easy to use and comes with a USB dongle, allowing for quick and simple installation. Powered on two AAA batteries and with loads of cool features such as advanced power saving and dedicated multimedia pad the MINIX NEO A3 wireless air mouse is one controller to rule them all. MINIX NEO A3 controller comes with 12 months warranty, brought to you by the leader in electronic devices as well as wholesale wireless keyboard and Bluetooth controllers..